I am not sure where I got this settings from. Actually, can you still double check you're not staticly assigning those cores to anything else? Would be silly if Plone CI builds step on the toes of your production VMs. Actually, can you still double check you're not staticly assigning those cores to anything else? No, those are used by 2 VMs, the CI and one with very low CPU usage (most of the time idle). Or, alternatively, do one container per server, and just let it use all the resources and only use the container for software isolation. I created two nodes on it (Node5 and Node6) with 6 executors each. If one wants to play with it, create a virtualenv build step and on the dropdown you will see Python 3.7 as an option. I wouldn't expect any regression from 3.6, but anyhow, we can eventually test on both 3.6 as well as 3.7. Each supported Python version should be tested individually. 6 cores, not 12. We run the same hardware for our CI. This can run the non-robot tests in 10minutes. We cannot containers. Let's do bare metal. Please. That'd also greatly simplify the executor queue design and the test splitting design. I'd like to see 2.6 .. 2.7 and 3.4 .. 3.7 on the CI. Ran some benchmarking as to how the most trivial parallelisation of the tests would work. Used Python 3.7.0 compiled with --enable-optimisations. The tests actually run on 3.7.0, which is a decent starting point. Total: 9228 tests, 58 failures, 40 errors and 275 skipped in 29 minutes 3.867 seconds. Total: 9520 tests, 68 failures, 41 errors and 0 skipped in 28 minutes 1.659 seconds. Total: 9520 tests, 67 failures, 41 errors and 0 skipped in 19 minutes 15.774 seconds. Total: 9300 tests, 53 failures, 36 errors and 0 skipped in 14 minutes 25.575 seconds. Total: 9300 tests, 53 failures, 36 errors and 0 skipped in 11 minutes 51.595 seconds. Total: 9271 tests, 52 failures, 47 errors and 0 skipped in 10 minutes 27.564 seconds. Total: 9271 tests, 53 failures, 47 errors and 0 skipped in 10 minutes 58.729 seconds. Total: 9271 tests, 52 failures, 47 errors and 0 skipped in 10 minutes 52.678 seconds. Total: 9230 tests, 54 failures, 38 errors and 0 skipped in 10 minutes 33.451 seconds. Total: 9271 tests, 51 failures, 47 errors and 0 skipped in 10 minutes 24.175 seconds. Total: 9230 tests, 52 failures, 38 errors and 0 skipped in 10 minutes 1.881 seconds. Total: 9291 tests, 54 failures, 37 errors and 0 skipped in 9 minutes 56.034 seconds. 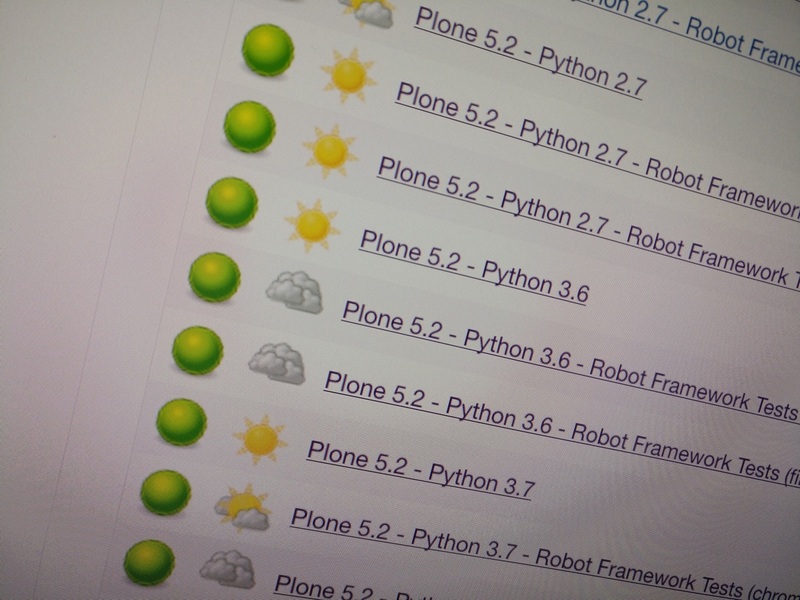 Splitting the non-Robot Python 3 runs into running 6 layers in parallel seems sane. The rest is then a bit of a puzzle as we'll have a mix of 4 core and 6 core machines. What worries me the most is the varying test count across the runs, but I'll chalk that up to using 3.7.0 at this point. With https://jenkins.plone.org/view/PLIPs/job/plip-py3.7 I created a copy of the Py3-Job that uses Python 3.7. After that is done we can compare the results to https://jenkins.plone.org/view/PLIPs/job/plip-py3. I had already fixed one issue with 3.7 (https://github.com/plone/borg.localrole/commit/26514d0) but there probably will be some more. 3.4 is not supported by Zope, so I see no need to test against this Python version. 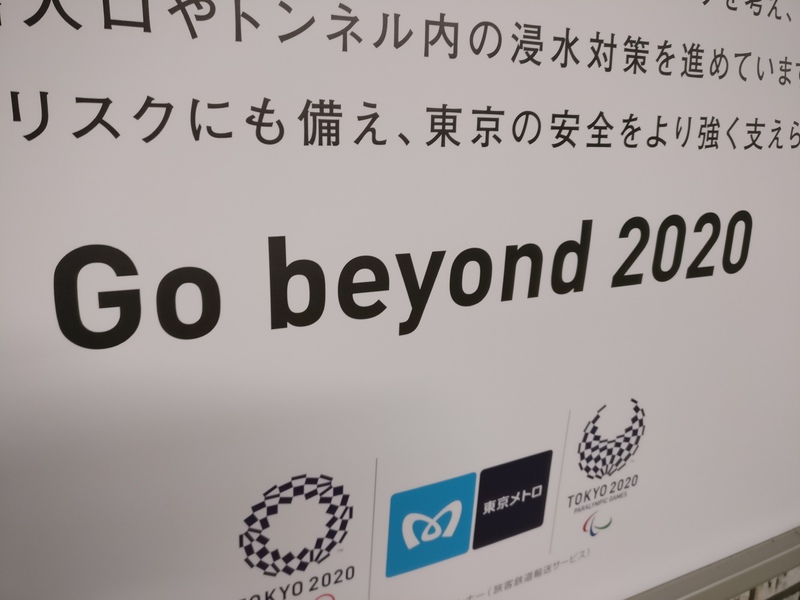 3.5 will go end of live in 2020. I'd expect nobody to migrate his/her Plone project to this version. Excellent, thank you. only doing 3.6 and 3.7 simplify the juggling act for making builds quicker a lot. This also means f-strings and type annotations are something Plone could actually go for. This will be possible after dropping Python 2 support. Zope will do so in Zope 5 but I do not think that this will happen before 2020. There are other (multiples of) zServer layers than just the Robot tests. @sunew did you take a look at dynamically picking a free port for zServer test layers? Zope 4.0b6 has been released. Updating our versions leads to some more issues that need to be fixed (see https://github.com/plone/Products.CMFPlone/issues/2590). Once 4.0b6 is used and all three jobs are green we will need to merge a lot of branches at the same time. Fantastic work Philip et. al!!! Thank you! Archetypes will not be ported to Python 3 but still has to work when running Plone 5.2 in Python 2.7. Since all tests that used PloneTestCase were still using Archetypes Philip changed that to use Dexterity now and created a new testlayer (plone.app.testing.bbb_at.PloneTestCase) that is now used by all the packages using the Archetypes-stack. See https://github.com/plone/plone.app.testing/pull/51. You could use this layer in your archetypes-based addon-packages that you want to port to Plone 5.2. Being able to run tests against Plone in Python 3, and with these development-tools now available also, it is now viable to start porting other addons to Python 3. To find out how hard that is I started porting collective.easyform: https://github.com/collective/collective.easyform/pull/129. The work is only 97% finished since some tests need more work but it is now useable in Python 3! Harald Friesenegger and Robert Buchholz worked on defining a default migration-story for existing databases using `zodbupdate (https://github.com/zopefoundation/zodbupdate). To discuss the details of this approach we had a hangout with Jim Fulton, David Glick and Sylvain Viollon. They solved a couple of tricky issues and wrote enough documentation. This approach seems to work well enough and the documentation points out some caveats but the ZODB migration will require some more work. Johannes Raggam finished work on his PLIP to restructure static resources. With this we no longer carry 60MB of static resources in the CMFPlone repository, it allows to use different versions of mockup in Plone, enable us to release our libraries on npm and will make it easier to switch to a different framework. Katja Süss, Thomas Lotze, Maurits van Rees and Manuel Reinhardt worked hard at removing the remaining python_scripts. The work is still ongoing and it would be great to get rid of the last of these before a final Plone 5.2 release. See https://github.com/plone/Products.CMFPlone/issues/1801 for details. Katja also worked on finally removing the old resource registry (for js and css). Better late than never: We now have a method safe_nativestring in Products.CMFPlone.utils besides our all-time favorites safe_unicode and safe_encode. It transforms to string (which is bytes in Python 2 and text in Python 3). By the way: There is also zope.schema.NativeString and zope.schema.NativeStringLine.